Mix these two together well and set aside. In a mixer bowl, beat the butter and sugar until well blended. Add the egg and vanilla. Mix the flour, salt and baking powder together and then add this to the butter mixer to form a smooth dough. Remove dough and divide in half. Moisten countertop. Place a large piece of plastic wrap on the wrap. Roll out to 12 x 7. Sprinkle on half of the cinnamon sugar. Moisten one short end of the dough. Roll the dough up into a log, wrap and put in freezer about 20-30 minutes. 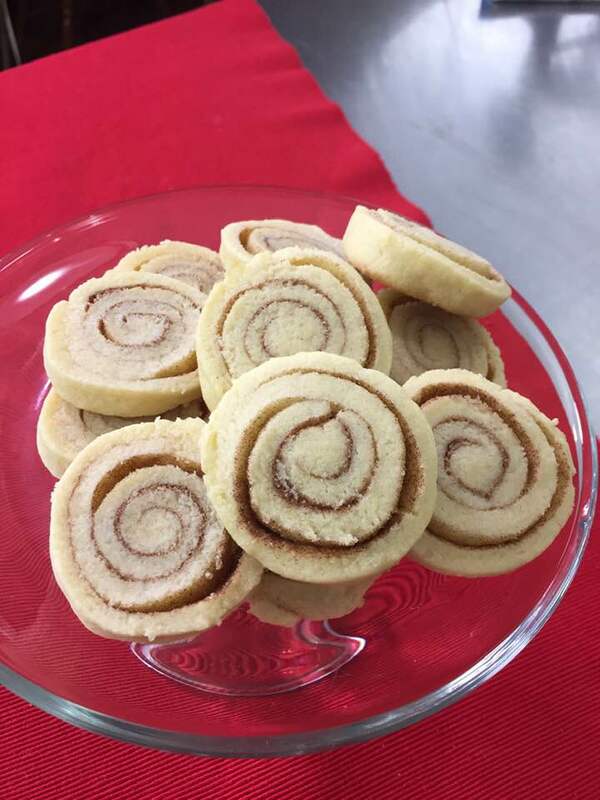 Remove from freeze and cut into 1/2″ pieces and put on a parchment lined or silpat lined sheet. This entry was posted in Recipes, Videos and tagged Snikerdoodle. Bookmark the permalink.